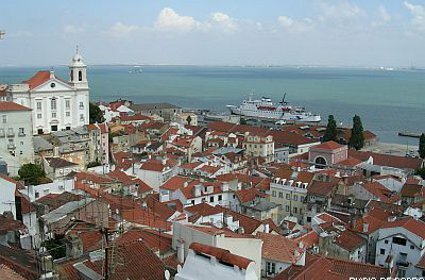 When touring Lisbon, there is no better site from which to take in the city in all of its majesty, than from atop one of its many hills. 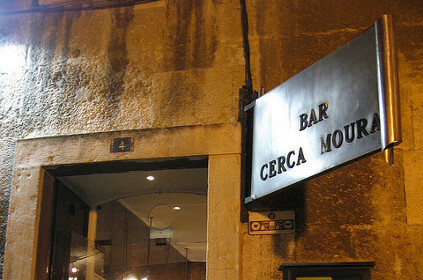 At the top of one of those legendary hills lies the Cerca Moura, a terrace bar that offers a cozy and comfortable spot for anyone wishing to sit for a bit and have a drink whilst enjoying the scenary. Designed so that no seat blocks the view for anyone, you can enjoy a wonderful view of the Tagus River from this charming hill top terrace. After sightseeing, it is the perfect place to reconnect with everyone, have a bite to eat and just simply relax in the sun or shade, if that is your preference. Many visitors come to Cerca Moura with tour guides or locals they have befriended and swap stories and pass the beautiful summer nights beside the cool river. You can watch the lights of the many fishing vessels dotting the water or you can give in to the romance of the region, while enjoying one of the many local vintages or sweet pastries.